Let me first start by saying that operation “paint-all-servos-and-hydraulics-an-old-looking-bronze” failed miserably. I think GW used pure black for this part. I am content with my recipe. The part will be highlighted with metallics, and have scratch marks. The moving pistons will get their highlights. I’m happy with the color modulation. The recipe is about 3:2 ratio of Abaddon Black and Leadbelcher. Leadbelcher is a strong color, expect to use lots of black. The servos will be painted later. Find out why soon. Didn’t have much left of the color at this point so diluted paint is difficult to see here. Be aware that if you’re working in a hot climate like I do (30 degrees Celsius during the day) make sure you have ample supply of your newly mixed paint and dilute it properly. I used water this time and it worked well, but I suggest giving a medium (Lahmian or Glaze, whichever) a go to see how fluid the paint becomes without being compromised. While I was fiddling with the new paint to apply it to the torso actuators, I saw to my demise that the moving parts were very close to their joints and with every movement the layer of paint was being scratched off! Talk about bad design when it comes to instruction manuals! So, if you like painting sections and assembling last, be very careful about what the assembly manual states. 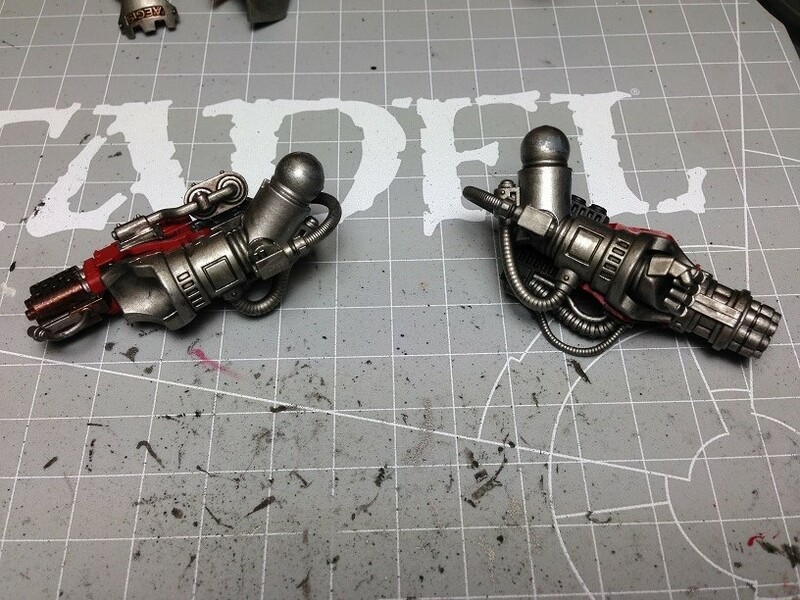 Either wait until the end of assembly to basecoat and paint the model, be ready to reapply paint after taking care of sub assemblies or kit bash the connecting piece in a way that allows you to insert it in the socket even after the torso assembly. Otherwise you’ll have to wait for painting after all assemblies like I do now. Careful with the manual. Always dry fit and check where you do not have to paint. I cleaned up the rest of the pieces from any excess paint I applied in my last session and gave all pieces a bit of a wash. I have to say, Nuln Oil really does wonders for extreme contrast over metallic surfaces. Also, it provides a perfect black “glaze” if applied over the surfaces in excess. 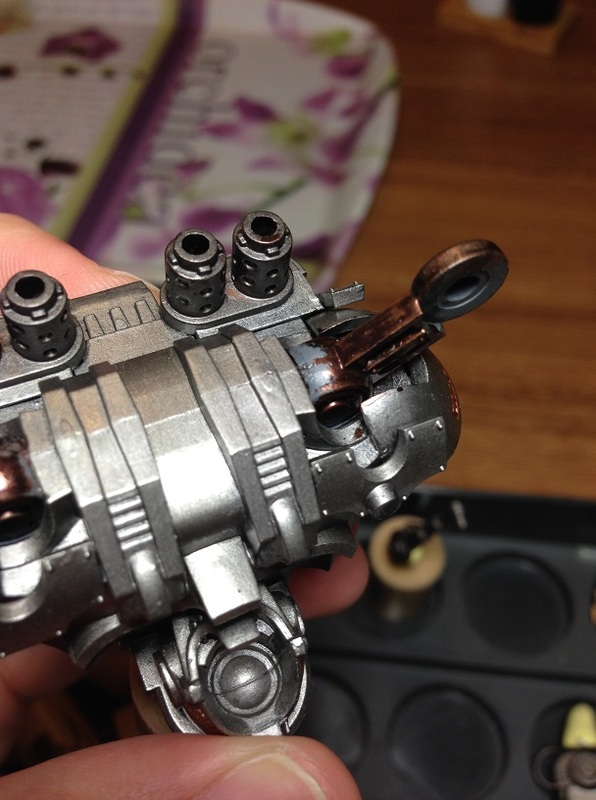 Thanks to Duncan from GW for showing how to work with Nuln Oil in his “How to paint Imperial Knight” video on YouTube. However I still don’t think I have perfected the wash phase and feel like I spend way too much to properly blackline everything. Even when I controlled the amount of paint on my brush with a palette, I realized I reloaded the palette with Nuln Oil a lot more times than what I expected. At least I do not get pools of paint on the models… yet. We’ll see how everything looks like in the morning when the paint properly dries. This gave me a nice peek at how the blue wash will look like. Using the brush to control where paint should go, I made a transition from grime to metal. Just look at how much definition the pieces got from Nuln Oil! Even the shield got some nice shadows. As suspected, the join lines became very visible. Not much to do about them now. The feet got a nice color transition from Leadbelcher to “gun metal”. Not much to see, but there’s a lot more definition in the model now. Now this was a pain to paint. The details on the sides got a beautiful definition. So did the indentations on the front sides. Even the gold got a great background. The Adeptus Mechanicus skull got a great shade. Will make it a lot easier to paint properly. The chimneys are a lot better with the shades. Even when applied carefully the wash can pool in unseemly ways. Just clean up with highlights if that happens. After the wash phase I went about assembling the arm mounted weapons. This should allow me to skip some work and highlight just the guns, without paying a ton of attention to the details underneath the guns. Besides, it gives me more space to hold on to when I work my way from the tip of the barrels all the way back to the arm joint. This will be fun to paint. I especially like all the shades on the lined details on arms. In a last-minute decision I got about assembling the legs with the chassis, along with the pilot legs too. This put me in a difficult position to shade the pilot but since the backside will not be very visible from relevant angles, I thought I’m not losing much at this point. I still can reach the important parts with my brush, like the servos between cables and such, so I assume there won’t be any difficulties with highlighting the pieces. The legs will get the Runefang Steel work on the three moving pistons and some scratches on the dark metals. Didn’t decide yet if I want to dry brush the scratches or layer them individually, ‘eavy Metal style. Will see. The wash really defined everything. The plates will really stand out when blue steel is put on. With the messiest parts done I can go about highlighting the pieces and proceed to final assembly it seems. I hope to finish the model before the Eid Feast, where I will have a nice break from pretty much everything. I expect the coming week to be quite busy too, hopefully with everything going well at work and with no serious overtime involved. There is nothing worse then typing up a whole nice reply, then accidentally closing the tab :). Lets see if I remember when I typed here. 1) I use a 50/50 chaos black/leadbelcher mix for my base coats on ork vehicles. Then usually wash with devlan mud (or whatever its called now). Good to know mixing the two paints is a popular thing to do! 2) I usually use a series of brushes when doing large wash work on a model. One to apply the wash, one to apply water, and one to sop up excess. Though your skill level is quite a bit higher then mine, you might find it useful for better wash control in the future. You can also work with the properties of the wash being slick, and set up the model so it pools in certain directions. 3) Love all the detail popping out after the wash phase. Did you think about trying a sepia wash on the gold instead of the nul oil? My fav part about washes, is when you go back with a bright highlight and everything just explodes with definition. 4) Great tips as always. Dry fitting and testing for motion are big ones I forget about all the time. First we learn to separate sections to paint easier…then forget to check if we need to paint those sections at all! Always a pleasure to see you around Greg! Hope you had a good one at the beach. 1) Without mixing colors it is almost impossible to work on a budget. GW is tricky that way: there’s a lot of complementing color ranges with different labels like dry compounds, technicals etc but if you want to buy them all, then you go broke. Take Nihilakh Oxide for example, instead of that one I just mix two turquoise-ish greens and dilute them, and ta-da, you have patina paint. 2) I think I’m just being stingy when it comes to washes to be honest. But it is actually a great idea to use mopping brushes for excess situations. Believe me, it’s got nothing to do with skill, I just can’t tell if I have applied WAY too much since the gaps are wider than usual (compared to the recesses of a CSM plate for example) and wait up, just to see I have applied the wash too thinly (but thanks for the kind words). On that note, do you use your washed out of the pot or do you water them down on a palette? 3) I’m going between the colors I wanna use for golds. VLM looks at me from a corner like “pick me!” and then I think about how little I need it… and look at my drying acryllic paints. We’ll see what to do. And yes, the golds will definitely get a brown / sepia wash on them. I’m thinking of Agrax Earthshade (the new Devlan Mud), but heard that Seraphim Sepia works great too. Maybe I’ll try both on the Dreadknight and the pilot separately. 4) I cannot stress how much dry fitting helps. Even I see I didn’t follow my advice when it came to the shoulder servos! But still, I think the most important part is accessibility on parts with a brush, for me it was a mistake to assemble the legs fully before doing the details on the cables and pistons. You’ll see how difficult it was to fix those on my next WIP report for sure. Can’t wait to finish this with flying colors and switch to my real bad boys! I’ve thought about stripping some of them, but that is a nasty process in itself! (just picked up some simple green to try on older ork models, we’ll see how it does). 2) I use my wash right out of the palette. I am horrible about palettes and thinning paints. 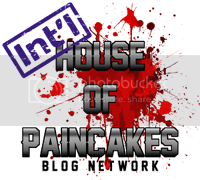 One of the things I’m working on. I think I inadvertently thin the washes by having a second brush with some water on it…but definitely straight from the pot. I think the only paints I am really adamant about thinning are the bases…mephiston red (as you know) is really gloopy out of the pot. 3) Hmm…if you do the VLM, at least there isn’t much to work with. Would be a nice change from the heldrake! So you are doing the balthsar gold, then nul oil, then main gold, then wash again with either sepia or earthshade, then highlight? I’m at the same crossroads currently. Just put a nice coat of balthsar on my HQ’s. One day I’ll be well versed in the rules of the game and try out the army but for now, the hobby spirit is a bit more present! For lore I think I’ll start with the Horus Heresy series and then branch out. Too bad the iTunes store for GW does not work for the Turkish store. 1) Stripping is tricky. Never tried it because I’m afraid I’m going to ruin the sculpted details. I’ve read on it from several sites with mixed results. Be careful and try it on your least favorites I’d say! 2) I dilute almost everything, except for the washes. That’s out of the pot, but I see Duncan from GW uses some water to thin even Wash paints. Maybe I’ll give that a try too. 3) Working with VLM is like preparing for a kit with enamel paints, they have their own thinner, accepts only synthetic brushes and you better keep everything away from water else you get them rusted in clumps. Not to mention the workspace gets you dizzy from the isopropyl alcohol after a while. The results are great, I’m just not sure if it’s worth the effort. If I go with GW paints, I’ll correct the Balthasar Gold (Nuln Oil was applied allover and I didn’t mean it to go with golds), apply highlights with Shining Gold or equivalent and maybe do very little extreme highlight with Runefang Steel. In fact, I might skip the RS part altogether and go straight with a brown wash, leaving it proper gold colored.